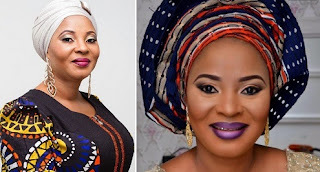 Reports reaching us has it that Nollywood actress Moji Olaiya is dead. This is coming just weeks after the death of popular yoruba actors Olumide Bakare and Pastor Ajidara. The Nollywood actress gave birth to a bady less than 2 months ago. In March, Moji Olaiya welcomed her first child In Canada, a few months after she officially divorced her first husband to marry another man.